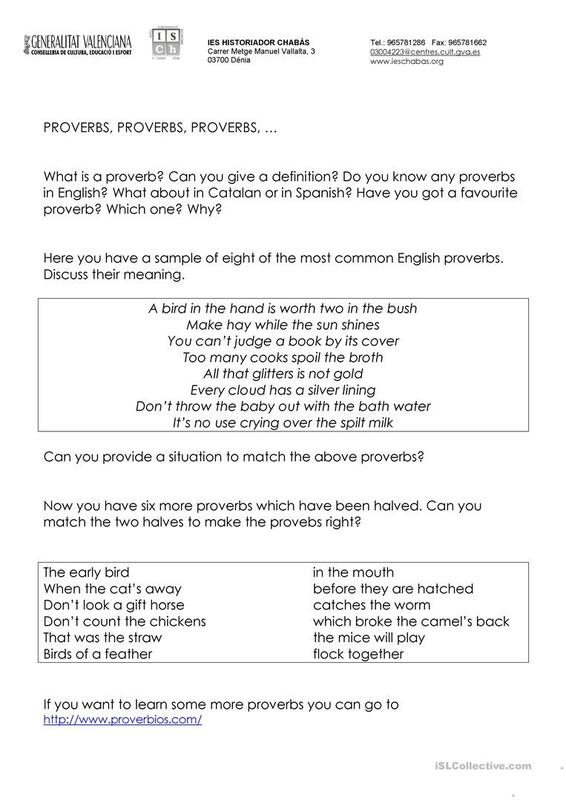 Contextualize proverbs and use them in real life. The present printable, downloadable handout is meant for high school students at Intermediate (B1) level. It is a useful material for practising Formal and informal English (politeness or colloquial language) in English, and can be used for improving your class' Speaking skills. It centers around the vocabulary topic of Debate. julienric is from/lives in Spain and has been a member of iSLCollective since 2012-05-02 20:10:57. julienric last logged in on 2012-05-02 20:10:58, and has shared 1 resources on iSLCollective so far.